Stepan Makarov (1849-1904). 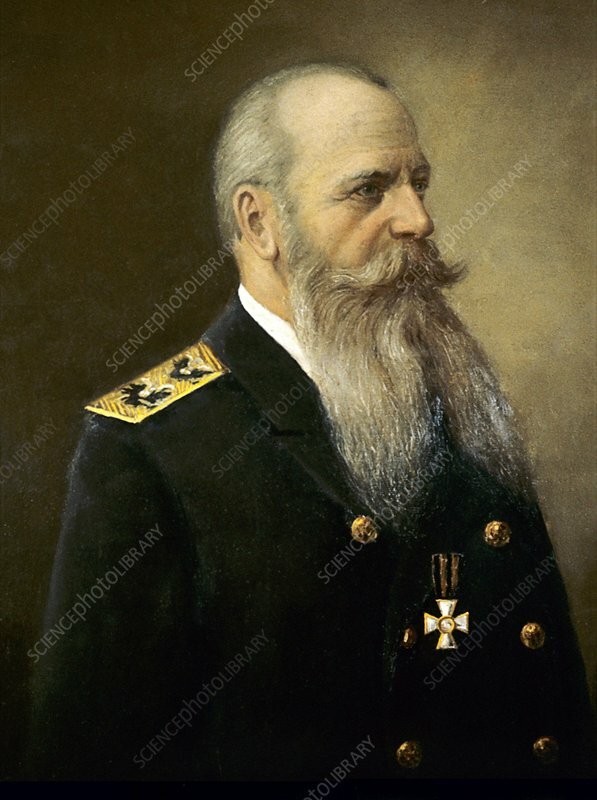 Painting of the Russian navy commander and vice-admiral Stepan Osipovich Makarov in his military uniform. Makarov was a highly accomplished and decorated commander of the Imperial Russian Navy. He was also an oceanographer, author of several books, and member of the Russian Academy of Sciences. Makarov also designed a small number of ships. The town of Shiritoru on Sakhalin island, was renamed Makarov in 1946 in his honour.